We believe that if you stay with us, then you deserve something extra from us. Please read the Terms and Conditions before buying membership as membership is non refundable. As we are a youth charity, and the fact our name literally translates into “Youth”, we are always seeking youth members to come and join us for the adventure of a lifetime. In fact, the more the better. 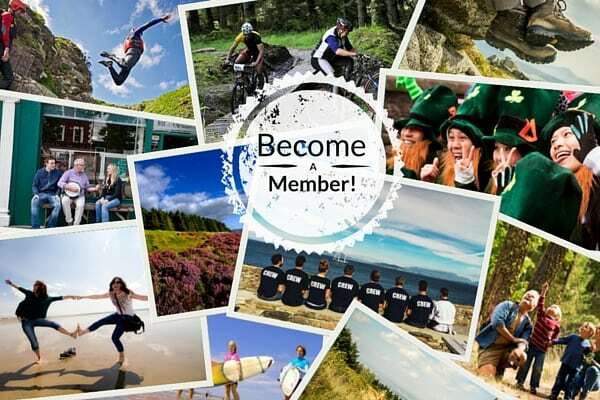 Our youth membership doesn’t just give you a 10% discount in our Irish hostels, but in over 4,000 Hostelling International hostels in some of the most beautiful locations around the world. These include countries like the Scotland, Norway, Slovenia, and the United States of America, to name but a few. Our membership also provides a range of discounts on car hire, clothing, hiking equipment, and a lot more. To see more information on the discounts that comes with our membership, please click here. Thinking of travelling abroad and adhering to a strict budget, then our membership could be that extra bit of saving you’re looking for. Alternatively you can ring us on 01 830 4555 or email us at info@anoige.ie and we will only be all too happy to help you with your options.